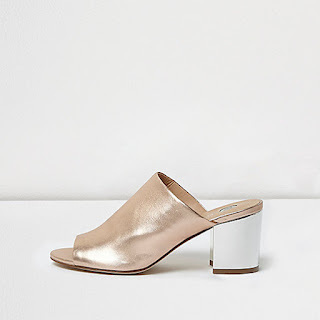 Mules are big for this year so I thought we would try some stacked heel mules that are comfortable to walk in and stylish as all get out. 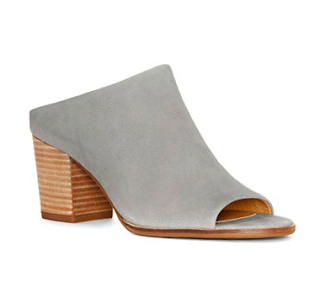 Ok, top of the budget, but think of the cost per wear with these neutral beauties! Show off your pedicure with these popping heels! 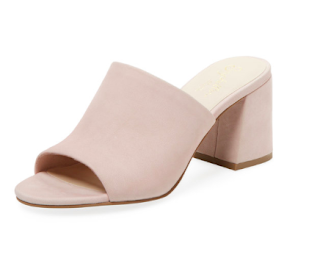 A super blush mule that is so feminine without being sweet. 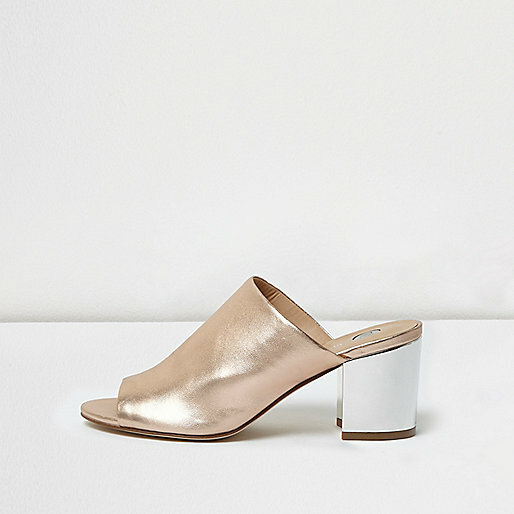 I'm a sucker for metallic because these heels are party ready. 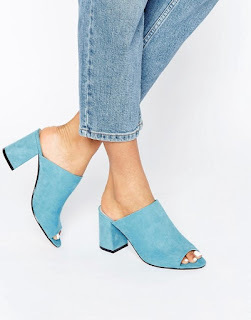 Rethink your aversion to mules because the new peep toe styles are sassy, fun, and comfortable!